One thing all managers do is to solve problems. You can solve problems in two ways. You can rely on your intuition, or you can use a systematic approach – by collecting and analyzing data before you decide. 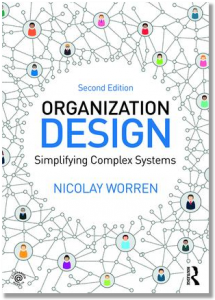 If you have followed this blog, you know that I favor a systematic approach when re-designing an organization. Particularly in large and complex organizations, it is very hard to come up with an effective solution – and even harder to implement it – if you rely on intuition alone. At the same time, people sometimes argue that there is no time for systematics. That we can’t be paralyzed by too much analysis. That we need to act. That it’s better to be approximately right, than to be exactly wrong. That’s a fair point. There are situations where we need to make a decision fast, and when we have to rely on what we know already. But in general, for the majority of problems we deal with, is this really the case? Three researchers at Massachusetts Institute of Technology (MIT) tried to find out. They were given access to one of General Motor’s manufacturing facilities, and tracked how teams of workers and manufacturing engineeers were solving problems over a 9-month period. While some of the teams used a highly systematic approach, by describing the problem in writing, collecting peformance data, and testing alternative hypotheses to find the cause of the problem, other teams used no particular methodology. They asked a panel of five experts to evaluate the quality of the solutions that the different teams came up with. They also measured the time it took from the team became aware of the problem, until a solution had been implemented and verified. As the three MIT researchers point out, this should come as no surprise. A lot of research in psychology shows that people are quite bad at intuitive problems solving. As Daniel Kahneman, the well known psychologist, puts it: “The conclusion comes first, and the arguments follow”. In contrast, a systematic approach forces us to reverse the sequence: To first collect information, consider alternative options, and test our ideas against data before we decide. It requires a bit more of us. But not only does it lead to better solutions – it also leads to results more quickly. P.S. Next week, I will show an example of an analytical tool that can greatly help improve the quality of our decision making when we decide who should work together in the same team or unit. *Source: Tyre M.J., Eppinger S.D., Csizinszky E.M.H. : Systematic versus Intuitive Problem Solving on the Shop Floor: Does it Matter?, Massachusetts Institute of Technology, Sloan School of Management, Working Paper No. 3716, November, 1995. Hmm. I wonder if designs by people with higher cognitive capacity are better? For instance I would like to see organization designs made by teams of people capable at stratum II, other teams at III, others at IV, V, VI, and VII. Also what if you compared teams at say V or VI – one set of teams using intuitive back of the envelope or copy the design of the market share owner versus those using a science-based set of concepts such as requisite organization.